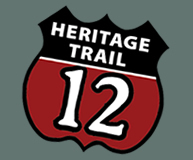 Get out while you can and check out all of the exciting outdoor activities available along the Heritage Trail. Click on the icons to the left of the map to select fun things to do! Get the Adobe Flash Player to see this slideshow.